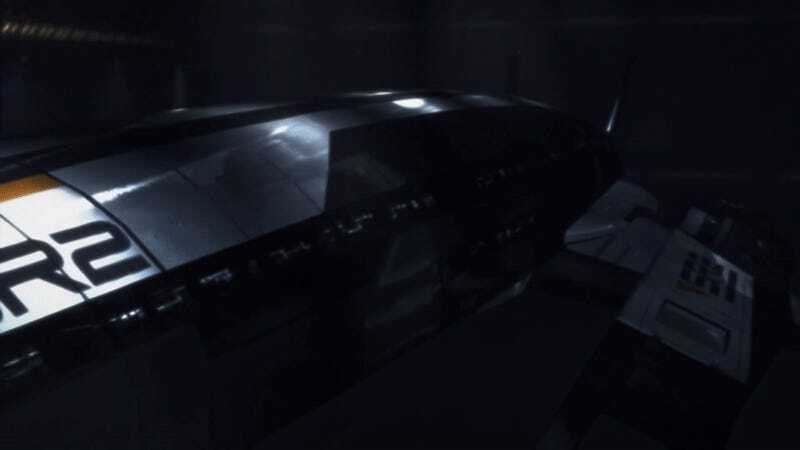 Open Channel: What's Your Favorite Reveal of a Spaceship? Open Channel: What's the Best Spaceship Reveal in Pop Culture? It’s good to be home huh, Commander? From the iconic opening shot of Star Wars introducing us to the awe-inspiring wedge of terror that is the Imperial Star Destroyer, to the reveal of the Enterprise-A in The Voyage Home, hell, to Benny the Lego Spaceman getting to build his Spaceship (Spaceship! SPACESHIP!!!) in The Lego Movie, the grand reveal of the baddy’s flagship or the hero’s sweet new ride for the first time can be just as satisfyingly triumphant as any moment of great adventure. Whether it’s the emotions behind the reveal, or getting to let a great design just wash over your eyeballs, spaceship reveals are moments in sci-fi stories that can get forever burned in our memories. I think about this, primarily because I’ve been thinking a lot about Mass Effect 2 lately. You know, as you do. Fans of the series know the second game in Bioware’s trilogy of RPG sci-fi adventures actually begins with a big spaceship “death”—the SSV Normandy, Commander Shepard and their allies’ base of operations and home throughout the first game, gets violently blown up by a mysterious new threat, leading to its abandonment by the crew and even the Commander’s death. Fast forward one “Six Billion Credit Man (or Woman)” montage sequence later, and Shepard has been resurrected and given a new mission—but their beloved crew has scattered into the wind in the years since their death, and Shepard’s surrounded by people they don’t know if they can trust quite yet. And even if some familiar faces did show up, the Normandy was gone. It’s effectively disorienting and weirdly heartbreaking to be playing Mass Effect 2 and not having the ship you spent hours and hours in during the first game just be gone. And so when your mysterious new allies offer you a new ship, you’re not quite sure if it can fill the same spot in your heart...until it’s revealed that it’s none other than a rebuilt, upgraded Normandy. A new coat of paint, a little tweak to the design here and there, a new service number. But she’s back, and it feels so very good to see her again. It’s a moment that’s completely befitting of the triumphant version of the Mass Effect theme that blares through your ears as the lights in space dock flicker on to reveal that beautiful, beautiful ship. The Normandy is as iconic to those games as Shepard is, and giving it such a grand return is still one of my favorite moments in a game. So, let us know in the comments below your favorite ever reveal of a ship—be it in a book, a comic, a game, a TV show, a movie, or whatever—and why. Be sure to add pictures and tell us where it’s from if you can, and we’ll be rounding up a few of your choices for a list of cool spaceship goodness on President’s Day next week. Seriously, why hasn&apos;t a video game been nominated for the Hugo and Nebula Awards?